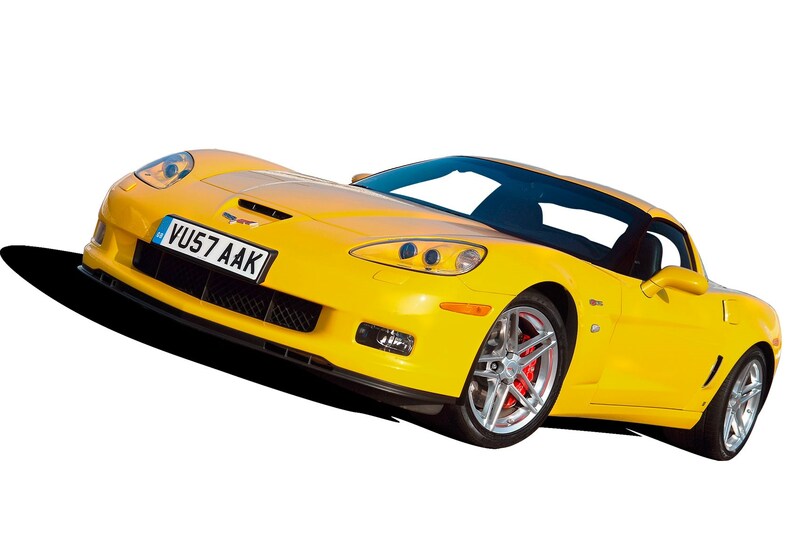 > Compact, sophisticated and scaldingly quick, the Corvette C6 (2005-2013) – the 6th generation since the 1953 original – remains a deeply talented sports car in standard form, and a fine base for the hot Z06 version, complete with its fearsome 505bhp 7.0-litre handbuilt V8. > Any old iron? Hardly – when it was intoduced the Z06’s LS7 V8 was the most powerful naturally-aspirated engine in GM history, complete with dry-sump lubrication and titanium conrods. Chassis is a bespoke, aluminium-intensive affair. > With its uprated suspension, tweaked steering, unique aero and vast cross-drilled stoppers, the Z06 has the chassis to cope. It may not have the ten-tenths feedback and composure of German and Italian rivals but big speeds are so, so easy. > Don’t look too closely at the quality of the materials and the general fit and finish and the Z06’s sturdy cabin is impressive; cosy and well-equipped. And you can forgive a few creaks when you’re getting a 200mph coupe for compact saloon cash.